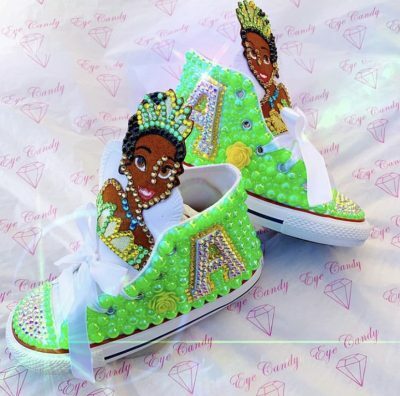 ShoeCandy are originated from Converse brand All Stars, embellished with assorted crystals, jewels, pearls, custom hand made patches and other decor. 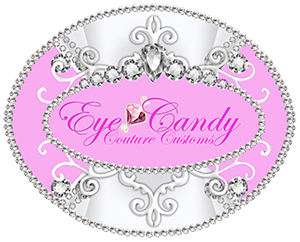 Made with 100% Authentic Swarovski, Austrian, and Czech crystals for the most brilliant “bling” with our high quality products. Each style is hand made with over 3+ hours of freehand designing so that each pair has its own intricate detail that makes each shoe unique, fun and look like candy to the eyes! Each shoe can be customized to your liking, and are especially made for your little one!! !